Fenn Rau and Sabine encounter a new kind of enemy. 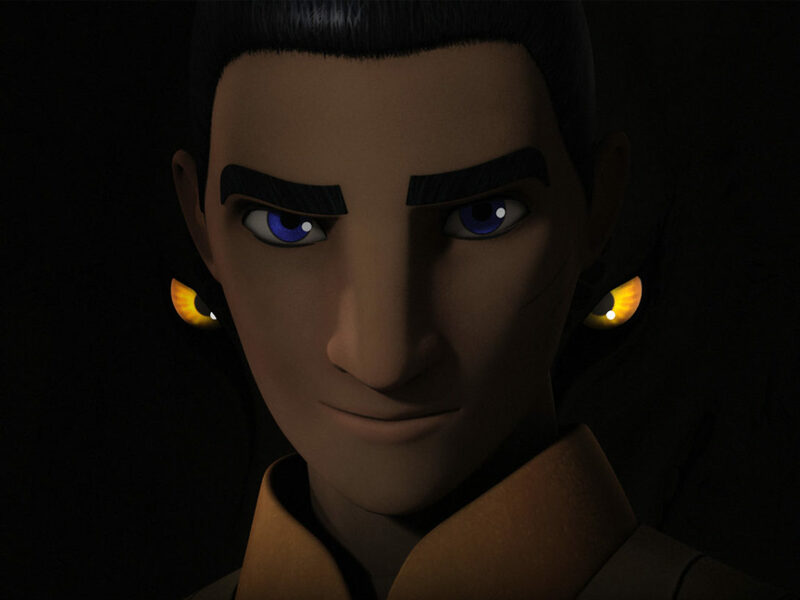 Sabine and Ezra find themselves in an uneasy truce with Fenn Rau — and face to face with a new threat in “Imperial Super Commandos.” Here are my 10 favorite moments from the episode! 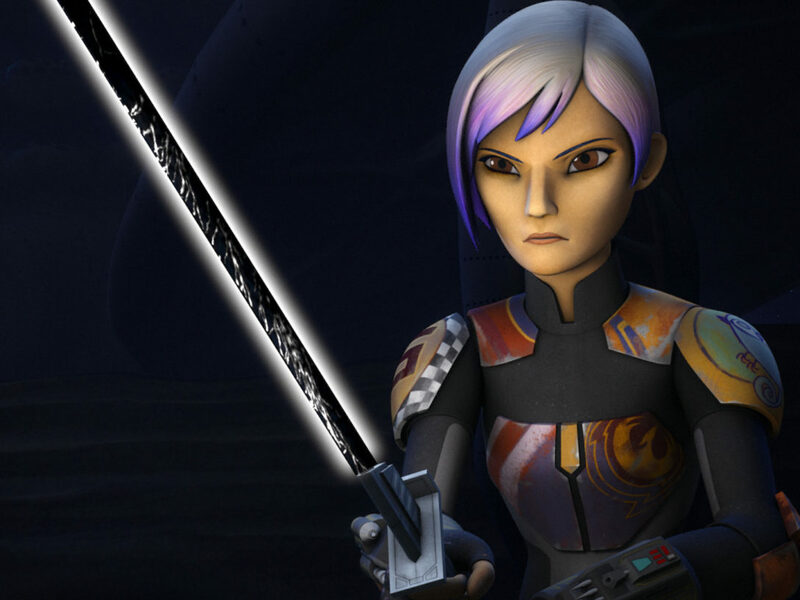 He may be the rebellion’s prisoner (or as Kanan says, “a cranky guest”), but Sabine is unwilling to give up on Fenn Rau as a potential ally. 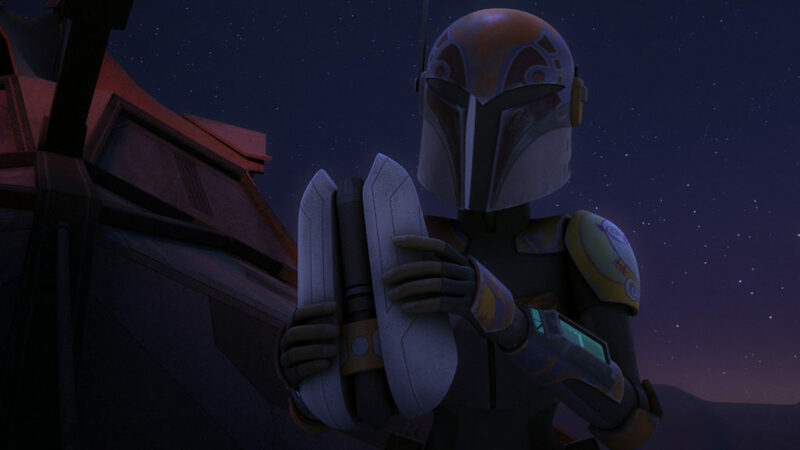 She also knows how dangerous Rau can be, unlike Ezra, who’s lulled into a false sense of security and takes his eyes off the Mandalorian. 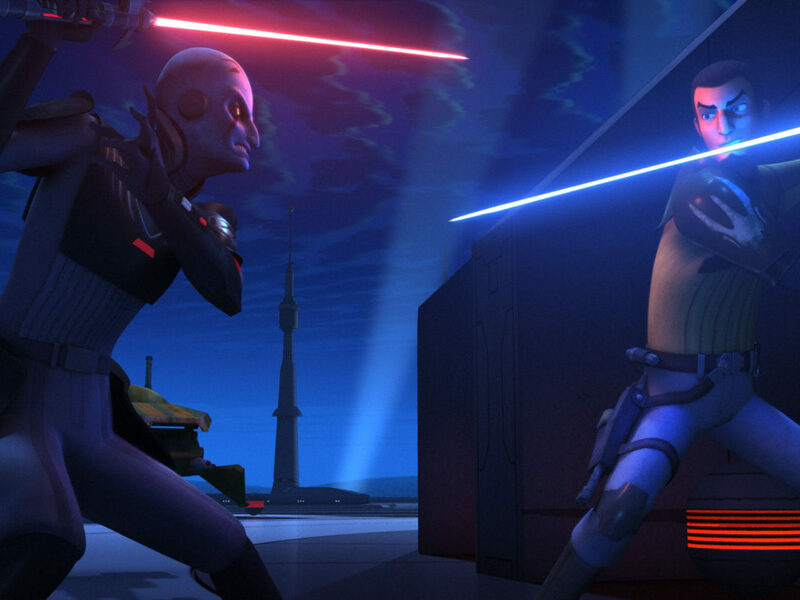 Within seconds, Rau takes full advantage, knocking both Ezra and Sabine out and taking control of the Phantom II. 2. 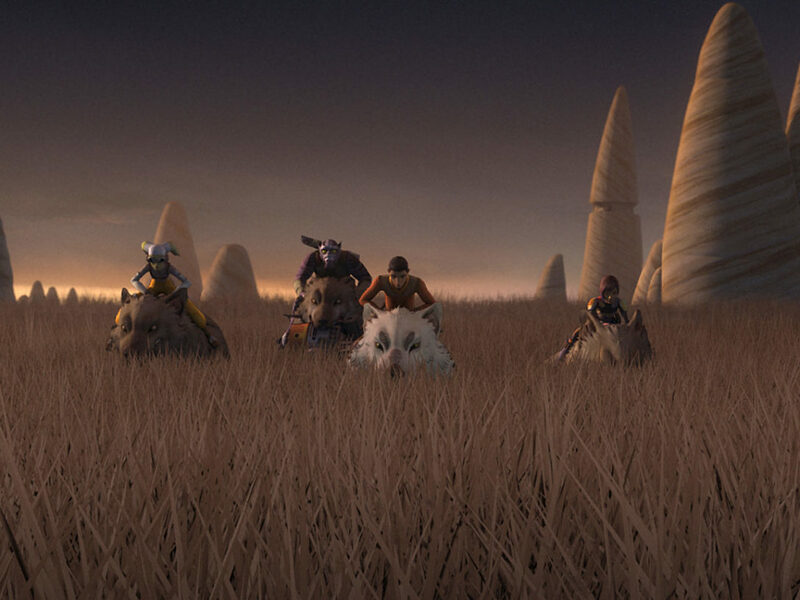 The destruction of the Mandalorian base. 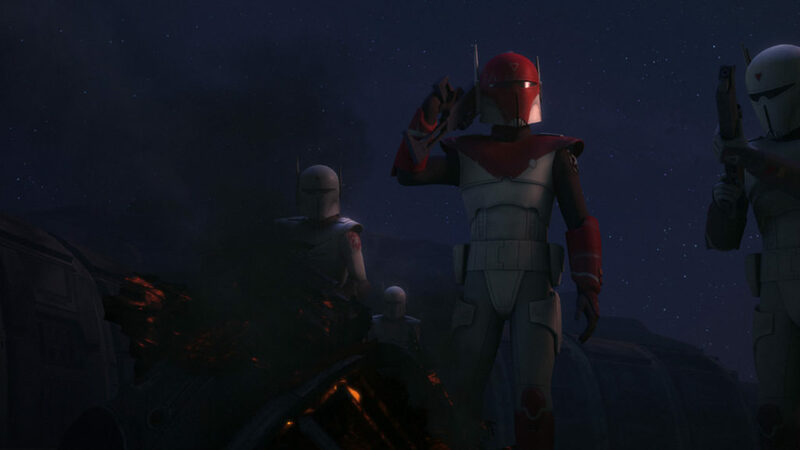 His goal was to get back to his base and his men, but Fenn Rau finds nothing but the destruction of the Concord Dawn base and his fellow Mandalorians. 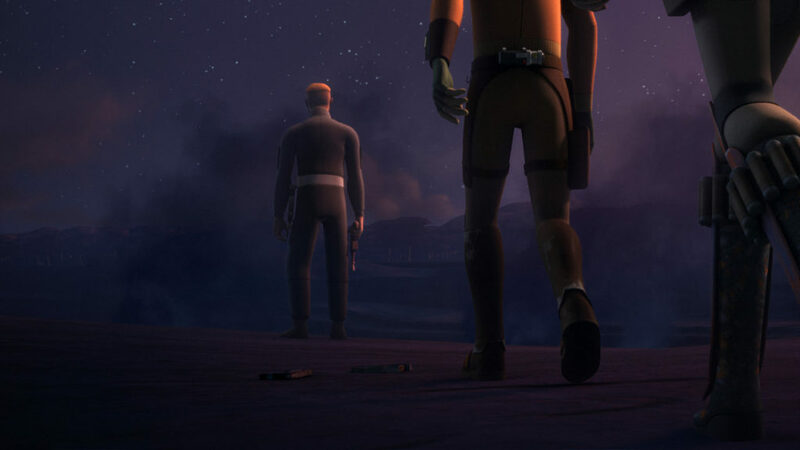 As far as Rau is concerned, this is all Sabine’s fault, because he could have done something if the rebels hadn’t taken him. 3. Imperial probe droids are never a good thing. You have to feel bad for probe droids. They’re doing their job and everyone shoots at them. 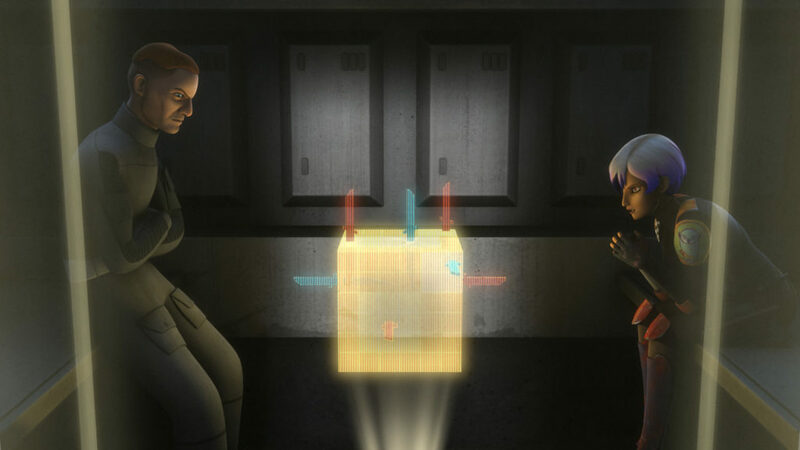 In this case, Ezra uses the Force to hold the droid as Sabine blasts, but you get my drift. 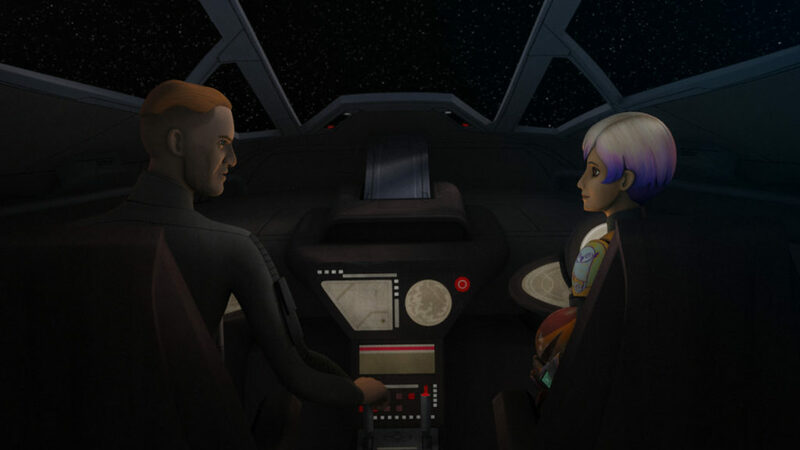 Now that they know the Empire is on the way, Sabine and Ezra want to get out of there pronto, but Rau says he’s staying and he’ll use the location of the rebel base as a bargaining chip. Talk about tension. It’s not the Empire — it’s worse. 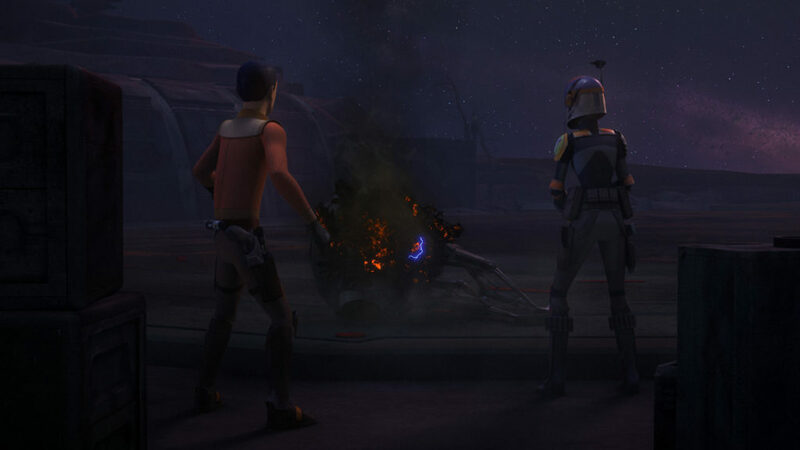 Mandalorians who serve the Empire destroyed the base, and they’ve come back to kill whoever the probe droid alerted them about. 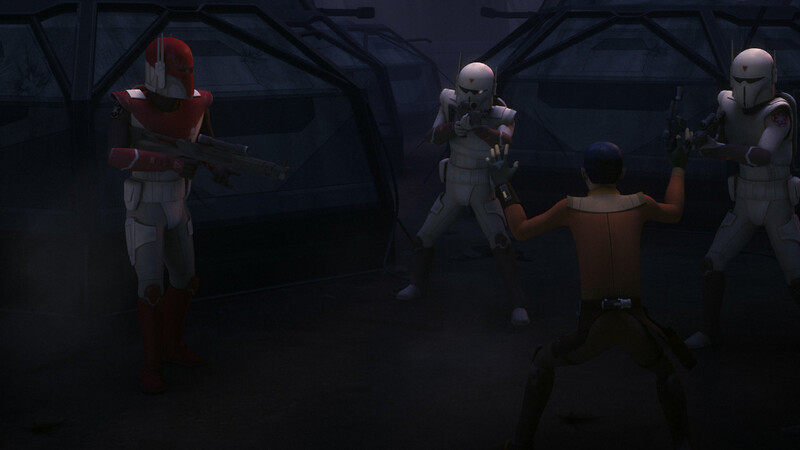 Ezra distracts them to help Sabine and Rau get away, and gets caught. 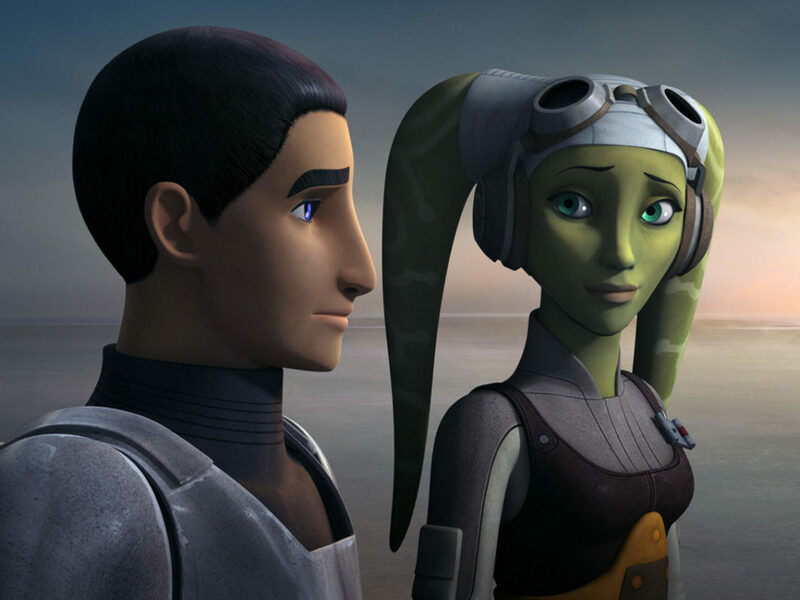 Sabine wants to go back for Ezra, but Rau’s kicked into strategic mode and he’s making sense. For now. 5. Boy, they’ll give anyone a title these days. 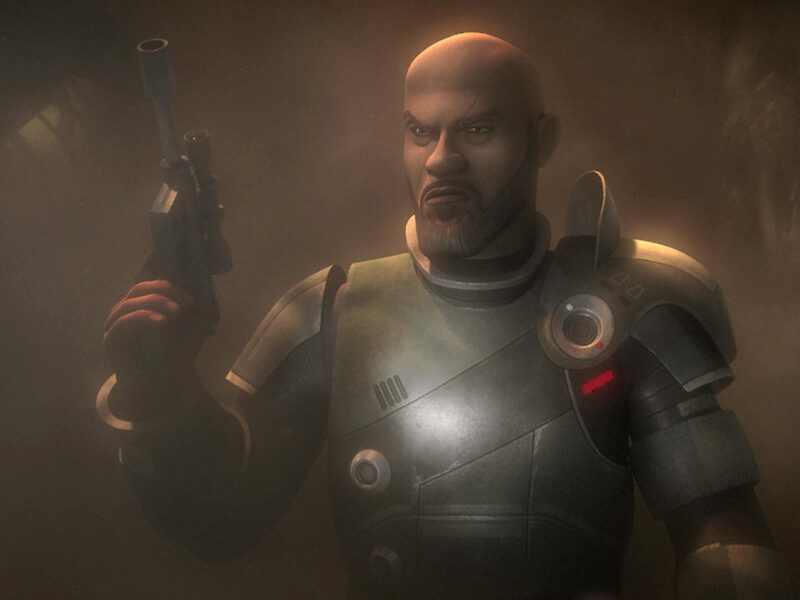 Meet Gar Saxon (Ray Stephenson), Imperial Viceroy of Mandalore. 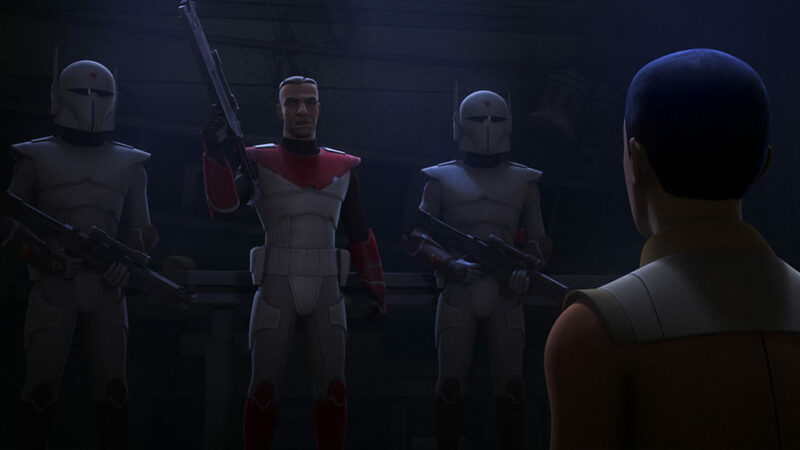 Saxon may be a Mandalorian, but he’s decided that saving his clan means fighting with the Empire instead of against it. 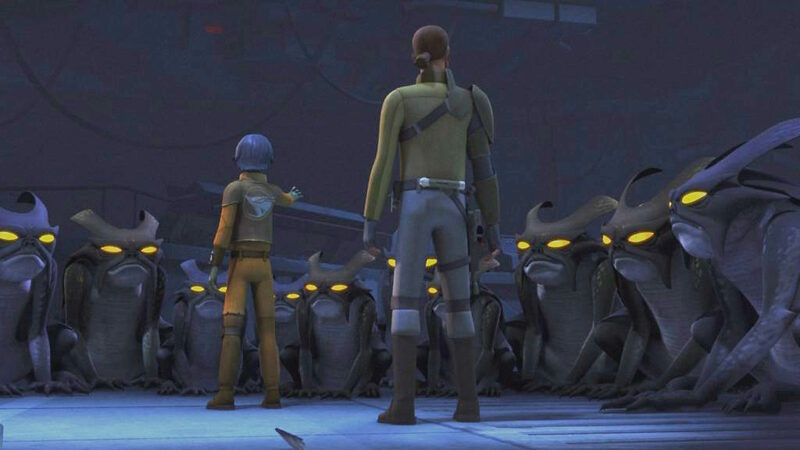 Saxon may not be fooled by Ezra’s claim to be a scavenger for Hondo Ohnaka’s crew, or Lando Calrissian, but both Ezra and Chopper are doing anything they can to stay alive. The whole thing is such a great act that they really need to take it on the road. 7. 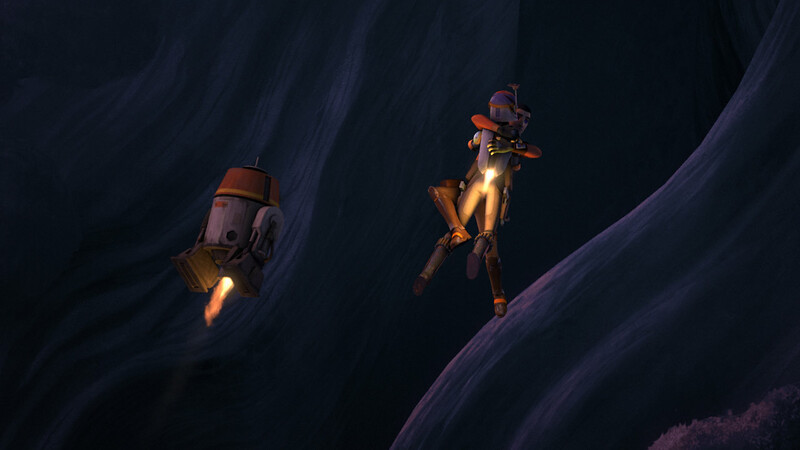 Sabine gets a jetpack! Seriously. What an awesome, if short-lived, turn of events. 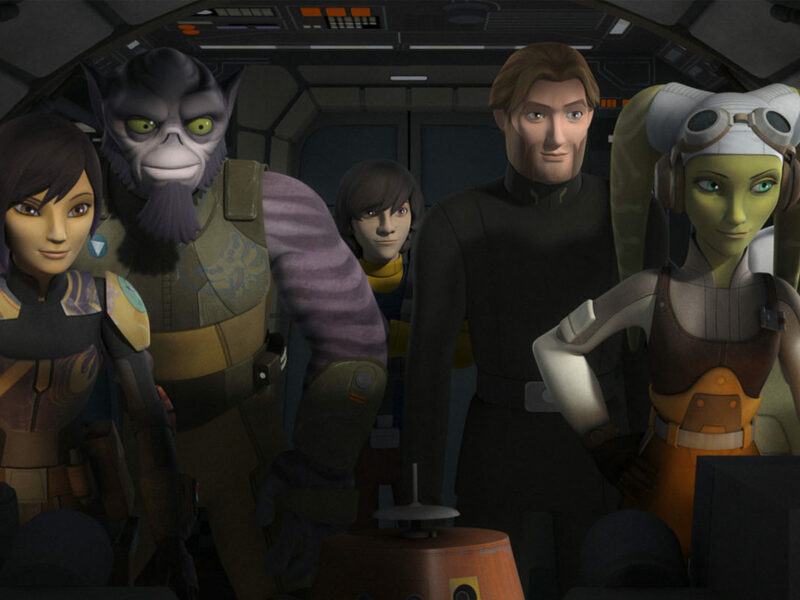 We’ve all been waiting for Sabine to get a jetpack! 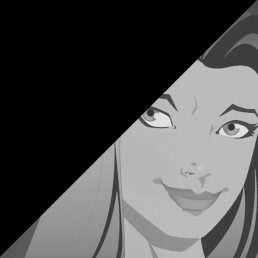 It’s all fun and games until someone gives you the choice to swear allegiance or die. 9. Sabine chooses door number three: flying. Epic flying chase is epic. First of all, Sabine has a jetpack. Second, the bad guys have jetpacks. Add Ezra using the lightsaber to deflect blaster bolts and jumping to attack the other Mandalorians — with saves from both Sabine and Chopper — and the whole thing is fantastic. 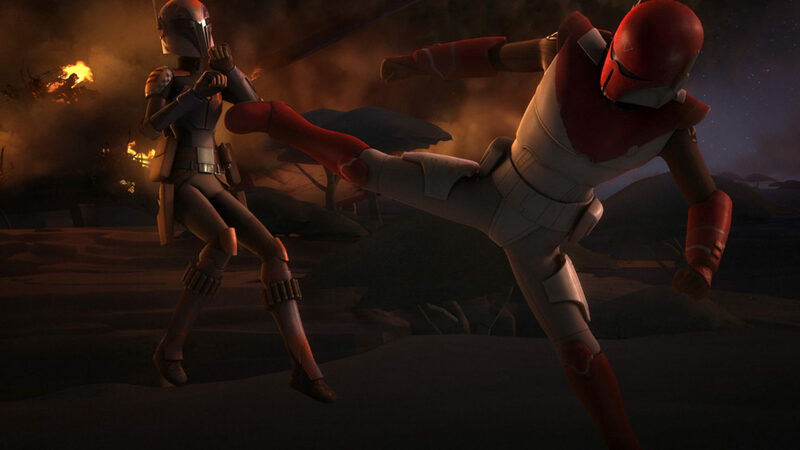 Rau may show up in the nick of time, but Sabine gets in one last fight with Saxon and it’s a good one. Go Sabine!